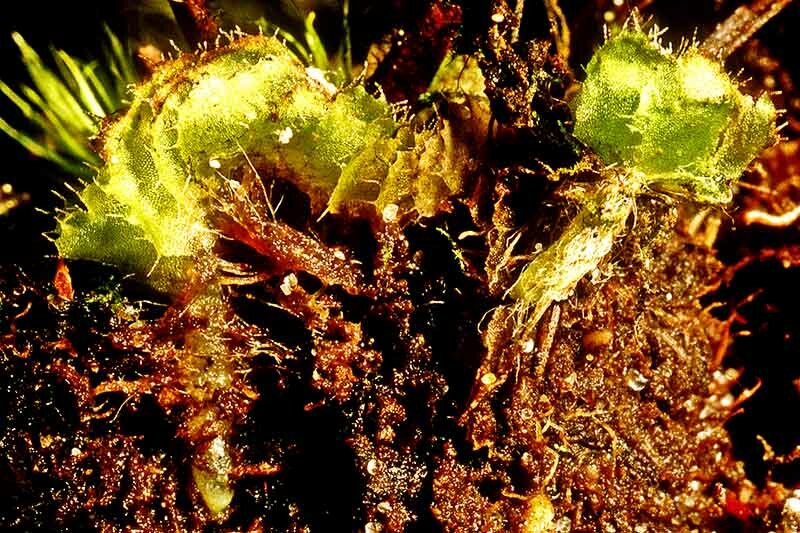 Goebelobryum ungicularis - A liverwort with prostrate stems bearing broad overlapping leaves with hairy (ciliate) margins. The leaves turn red in full sun. Found at the edges of bogs and in very damp, scrubland. 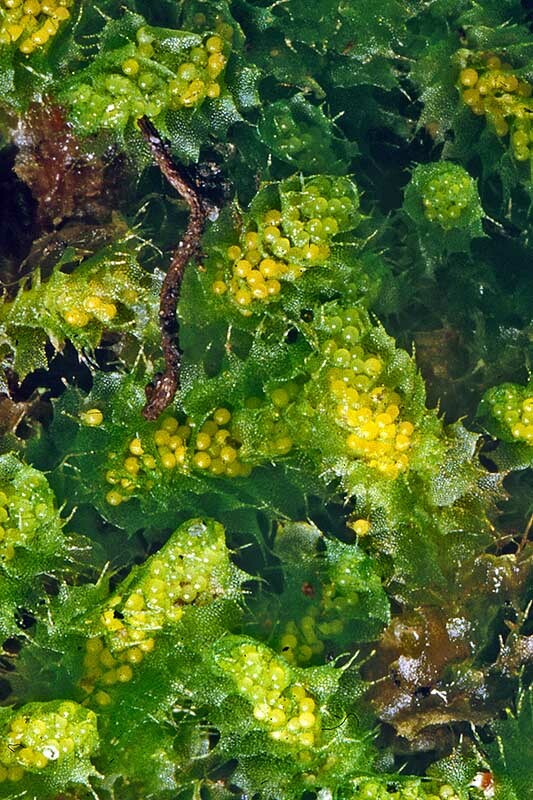 Goebelobryum ungicularis - A male plant with clusters of yellow sperm-producing sacs (antheridia) amongst the leaves. 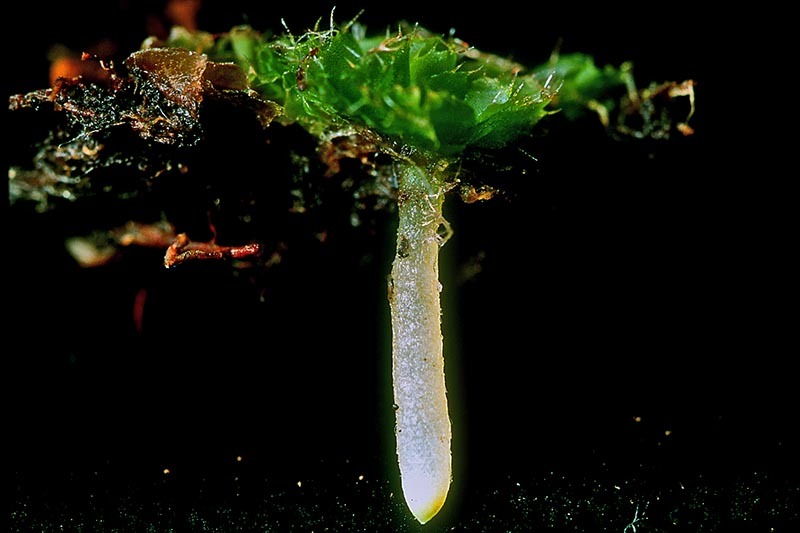 Goebelobryum ungicularis - Profile of a plant on top of the soil - Two pale tubular marsupia can be seen extending down into the soil. 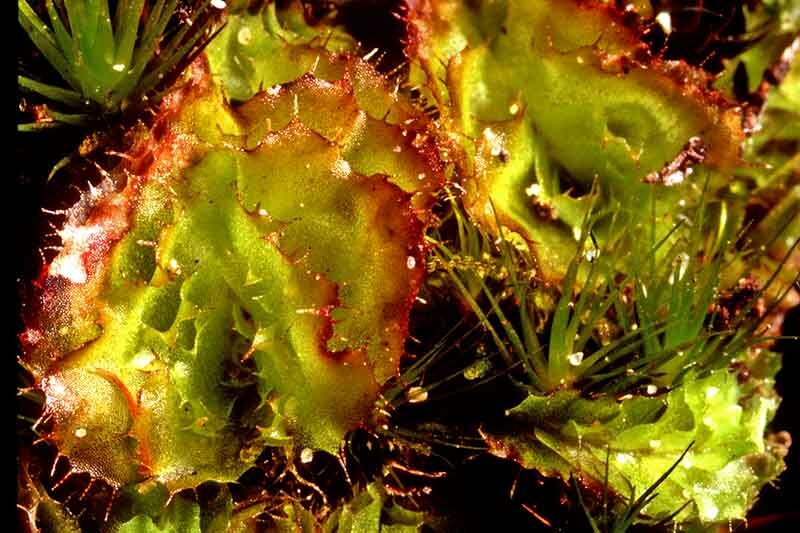 Goebelobryum ungicularis - The 1-2 cm long, cylindrical marsupium terminates the stem and is more or less coated with filamentous extensions. 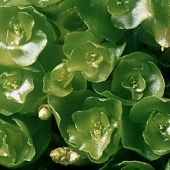 Geobelobryum ungicularis is one of a group of leafy liverworts that form curious pouch-like extensions of the stem tissue called a marsupium (pl, marsupia) that encloses the sporophyte and also serves as a storage organ.